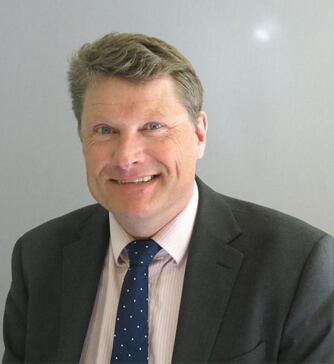 Mr Stewart Tucker is a Consultant Orthopaedic Surgeon, with specialist interest in Spinal Surgery. Mr Tucker was appointed Consultant Spinal Surgeon to The Royal National Orthopaedic Hospital in 1999, and to Great Ormond Street Hospital for Children in 2004. He is now senior spinal surgeon and clinical lead at Great Ormond Street Hospital for Children NHS Trust, and Honorary Consultant Spinal Surgeon at The Royal National Orthopaedic Hospital. Privately, Mr Tucker is based at King Edward VII’s Hospital and The Wellington Hospital where he undertakes adult procedures. Outpatient consultations are undertaken at King Edward VII’s Hospital, Fortius Clinic, Platinum Medical Centre (The Wellington Hospital) and Great Ormond Street Hospital. Training occured through the University College and Middlesex Hospitals Registrar training programme and the Percival Pott (St Bartholomew’s) Senior Registrar programme. Mr Tucker is a member of the British Scoliosis Society, The British Cervical Spine Society, the British Orthopaedic Association, the British Medical Association.